Thomas Martin Landis, 85, of Lancaster, passed away on September 20, 2018 at Landis Homes. He was the husband of Lois Geisler Landis with whom he shared 64 years of marriage on June 5, 2018. He was the son of the late James and Elma Martin Landis. Tom was a 1951 graduate of J.P. McCaskey H.S. He served 2 years in the U.S. Army before entering into the family business at Landis Garage and retired as owner in 1997. 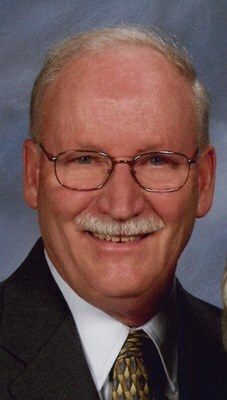 He was an active member for 60 years at Grandview United Methodist Church and served on the Board of Trustees. He enjoyed spending time at his cabin in Juniata County with his wife and family. In addition to his wife Lois, Tom is survived by his son Robert, husband of Claire; grandchildren: Kevin Holland, husband of Sheryl, Robert Holland, Corinne Landis, wife of Scott Paradise and Kent Landis; great-grandchildren: Matthew and Julia Holland and his son-in-law, Dennis Haldeman. His daughter, Carol Haldeman passed away one day after him. He was predeceased by his beloved great-grandson Conner Holland, along with his brother, Charles and his wife Helen Landis. A memorial service will be held at Grandview United Methodist Church, 888 Pleasure Road, Lancaster, PA 17601 on Friday, September 28, 2018 at 11:00 a.m. The family will greet friends at the church from 10:00 a.m. until the time of service. In lieu of flowers, Memorial Contributions may be made to “Conner H. Holland Foundation,” P.O. Box 8721, Lancaster, PA 17604 or Grandview U.M. Church at the address listed above. Private interment will take place at the convenience of the family. The family would like to thank the staff of Landis Homes for their kindness and excellent care they provided Tom in his final years. We do not know each other, but I picked up the paper this morning and saw that two loved one in your family have gone to their heavenly home on back to back days. I am so sorry for this loss and being a Hospice volunteer, understand some of the emotional pain you have been thru. But, yours was double. I am prayerful for your comfort, your support from family and friends and strength to get thru all of this.